This is a faithful photographic reproduction of a two-dimensional, public domain work of art. This work is in the public domain in its country of origin and other countries and areas where the copyright term is the author’s life plus 100 years or less. I had a conversation with Sebastian Junger recently. He and I were recording an upcoming episode of the Head Space and Timing podcast. We were talking about the difficulty of transitioning from the military to post-military life. One of his points: we’re currently at point of affluence in our society that allows our nation to provide for those who served in the military without requiring anything more of them. 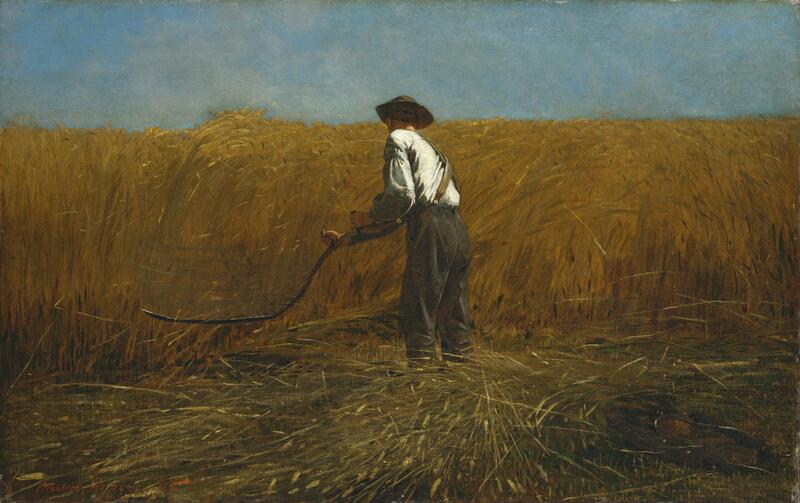 While we were talking, he referenced the above painting, The Veteran in a New Field, by Winslow Homer. Homer is considered one of the most significant American artists of the 19th Century; one of his best known paintings is of American Gothic, the picture of the stoic farmer and his wife. Many of the paintings that Homer produced during the Civil War were things that he witnessed when he was sent to the battlefront. This painting was completed in 1865, after the conclusion of the war and the assassination of President Lincoln. The painting is of a former Union soldier cutting hay in a field. You can see that he’s a veteran from the gear that has been set aside in the bottom right corner of the painting; the work of the soldier is complete and the work of the farmer has resumed. While there is certainly are different interpretations of Homer’s intent when he created the work, there is also relevance to veterans today. To me, one of the most striking concepts about the painting is that this particular veteran’s war is over. Even though wars may not end, as evidenced by our current conflicts of almost twenty years, the personal war of some of the service members who fought in them has ended. A war is a terrible thing to pass on to another generation, but our time is complete. That job is done. This veteran, for he is no longer a soldier, has completed their task. Like the veteran of 150 years ago, the veterans of today have completed their portion of the work. Whether it was large or small, long or short, the service they gave is at an end. 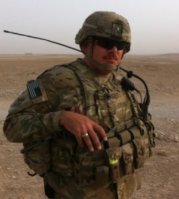 For many service members, this is frustrating; they wish they could still be doing the job. Or regret that they stopped doing it. Many feel guilty because they served their time, completed their job, and saw others continuing on. There is a contrast between how we do things today to how it was done in the Civil War and the World Wars; there, the service member stayed until the fighting was done. Today, perhaps another byproduct of the affluence of our society, there is no longer a need for one individual to remain until the war is won. Like today, the veteran is relatively young. For those senior leaders who serve thirty years, they may be approaching fifty by the time they leave the service. In a world where the average life expectancy in the U.S. is 78 years old, that’s not even to the seventh inning stretch. For many men and women, there is an entire other lifetime ahead of them after leaving the military. Having served twenty-two years in the Army, I know that I will be a veteran twice as long as I was a Soldier, God willing. For many younger veterans, the time spent as a veteran may be as much as four or five times longer than the time they served. That’s a really long time to not do anything. Between my military retirement and VA disability…because nobody gets out of a demolition derby without a few dents and scratches…I really wouldn’t have to work. Then there’s the challenge of no longer being able to do what we used to do…construction work is a young man’s game, unless you’re in a supervisory position. Figuring out the next job that we can do, and we want to do, is critical. The other thing that the painting tells me is that there is still work to be done. When a service member leaves the military, they still need to do things; things still need to be done. It may take reinventing ourselves; we may not be able to continue to be laborers, but we can pick up new skills. We can be math teachers. Or authors. Or…if you’re interested in psychology…mental health professionals. 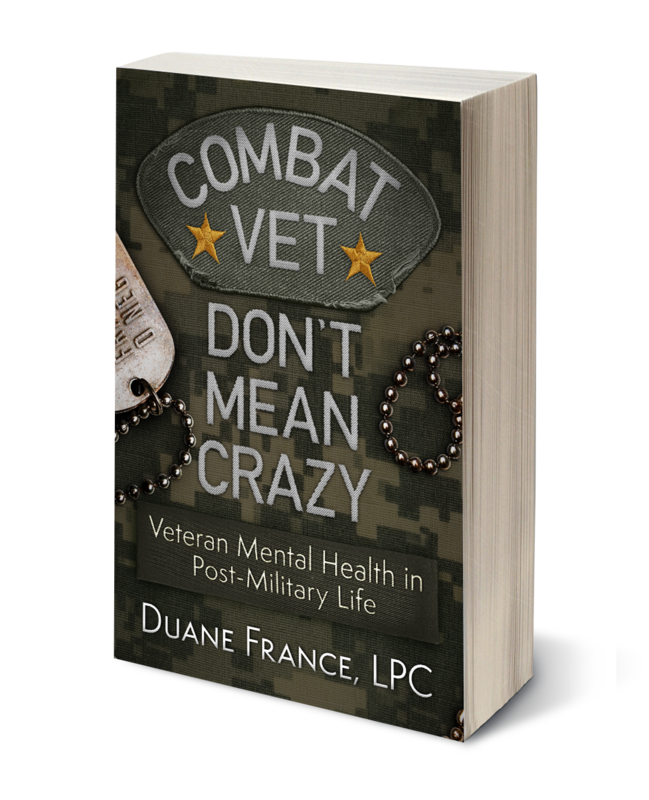 I’ll say here something that was said to me twelve years ago to put me on the path I am now: there are simply not enough combat veterans in the mental health field. It is truly possible for an old dog to learn new tricks…unless the old dog thinks it’s not possible. Winslow Homer’s Veteran in a New Field didn’t have to reinvent himself; he was likely a farmer before the war, and returned to being a farmer after the war. He could have, though. Just like we can. Just because the war is over, that doesn’t mean the work is over. Which once again gets this tree-hugging civilian to an uncomfortable place: little wonder the 99% in service of the 1% find coming home to be an extraordinary difficult transition. The “problem” isn’t the veteran anywhere near as much as the society they are coming home to. From a tribe where brothers and sisters had your back, to an “every man for himself” world where it must seem at times no one has your back, with the service branch mustering you out providing little by way of sustainable tools to navigate that transition? Sounds like a difficult mission to CavDad. Thanks for reminding we got to do a whole lot better here. Of all the many stresses in our socio-political fabric, none require more immediate and sustained effort than the creation of bridges addressing the civilian-military divide. Looking forward to hearing from Sebastian. His Restrepo, Korengal and The Last Patrol, among other works to include On War, a trilogy most deserving of viewing and reflection.